I make lots of goodies to give to family and friends over the holidays. Let the Apple fritter love cool about 30 minutes before pouring the glaze on top. 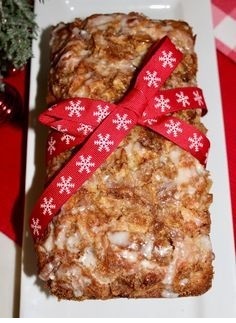 Wrap up to give as gifts or slice into desired slices.